For me, among the most pleasing parts of record production belongs the creation of virtual acoustic space in recordings/mixes. I’d try and collect every piece of equipment that might help creating unusual and moody athmospheres. Sometimes a broken spring reverb is the best choice. But nothing beats this invaluable, yet affordable approach: Natural Echo ! „Why don’t you use a plugin?“ you might say. Of course I use altiverb every day, but a real room is different. The recording of natural echo not only sounds great, it’s also a document. It will never sound the same twice. The music really filled this very room and the recording will preserve this moment for ever. 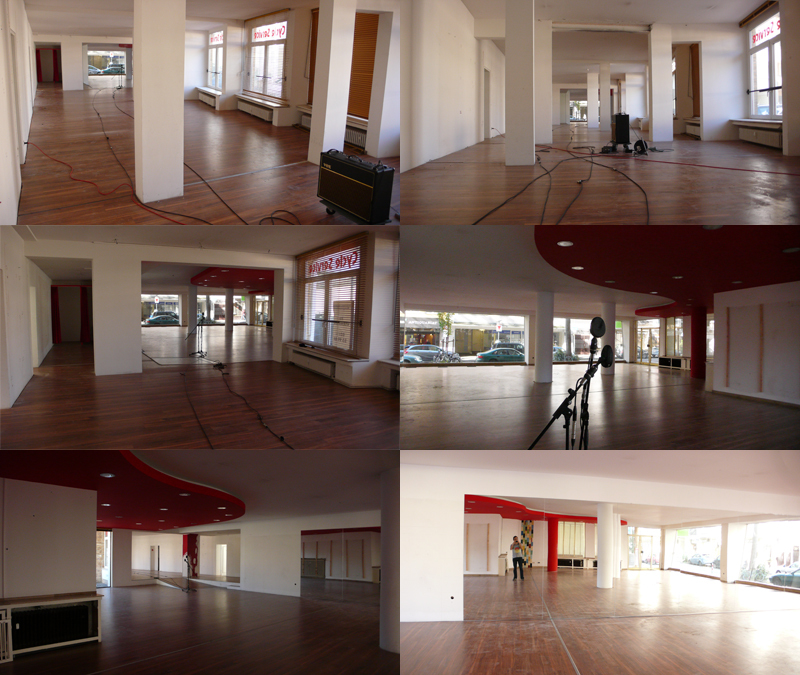 We used this former store as a giant echo chamber for the mix of The Aberrations‘ Crossing All The Lines.